Ann Chen Wu MD, MPH is an Associate Professor in the Department of Population Medicine at Harvard Medical School and Harvard Pilgrim Health Care Institute. She is the Director of the Center for Healthcare Research in Pediatrics (CHeRP) and the PRecisiOn Medicine Translational Research (PROMoTeR) Center. Additionally, she is a practicing pediatrician at Boston Children's Hospital. After receiving her BS in Biology from the Massachusetts Institute of Technology (MIT) and her MD from Harvard Medical School, Dr. Wu completed her pediatrics residency at Boston Children's Hospital and the Harvard Pediatric Health Services Fellowship. 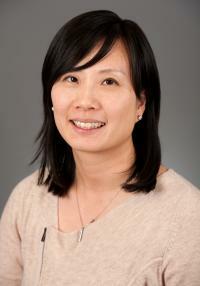 Dr. Wu's research focuses at the intersection of genetic epidemiology and health services research. Dr. Wu is currently leading the Age-Dependent Pharmacogenomics of Asthma Treatment (ADAPT) study, which has the goal of elucidating how age modulates genetic, genomic, and metabolomic information on response to asthma medications. In addition, Dr. Wu leads the development of the Precision Medicine Prevention and Treatment Model (PreEMT), which applies modeling methods to genomic technologies.